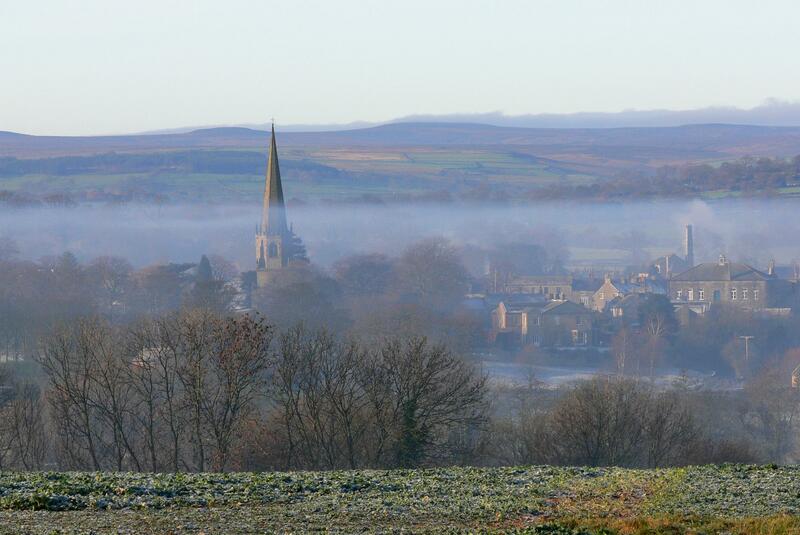 Walking is the best and most enjoyable way to discover Masham and its surroundings and there are plenty of options to suit everyone. Masham borders the Nidderdale Area of Outstanding Natural Beauty (AONB) and the organisers have published a number of excellent booklets featuring walks in the area. All the walks are available for purchase from the Community Office. Here is a list of booklets available so you can plan your visit – call in a see us to discuss which are right walks for you. This stunning walk starts and ends at the fascinating ruins of Jervaulx Abbey. It takes you through beautiful parkland, over lush pasture fields and through the historic village of Thornton Steward. You’ll pass the impressive Danby Hall and cross the River Ure over two historic bridges. This 5.5-mile route takes you through the ancient enclosures in Dacre Parish where you will discover the area’s history written in stone. Stone in some of the walls is thought to be the result of prehistoric field clearance. Starting and finishing at the Black Swan Inn you can choose between short (1 3/4 miles) or long (5 miles) routes. The 5 mile route crosses the Burn Valley to the Druid’s Temple and the Bivouac cafe. 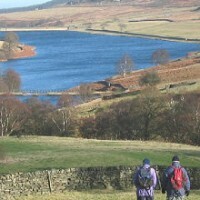 The intimate view across Leighton Reservoir towards remote Colsterdale from the northern end of Druid’s Wood is superb. In contrast is the extensive view from Bivouac east over the Vale of Mowbray where on particularly clear days the large steelworks buildings near Redcar 40 miles away may be discerned. Starting and finishing at the Henry Jenkins Inn this 4-mile walk takes in the site of a C12 castle and St Andrew’s church, built around 1150. An easy 3-mile circular walk around a sculpture trail with works by Alan Ayres, supported by Common Ground. Starting from Masham town centre this delightful walk meanders through pastures and woodlands alongside the Rivers Ure and Burn. Follow a 6.5-mile route waymarked by mosiac panels created by villagers from nearby Kirkby Malzeard. The walk goes over open moorland with great views over the Vale of York in the east, and through hidden valleys with mixtures of deciduous and coniferous wodland. A 7-mile walk tracing the agricultural and industrial heritage of the Parish including iron age circles, a monk’s wall and an old pack horse route.